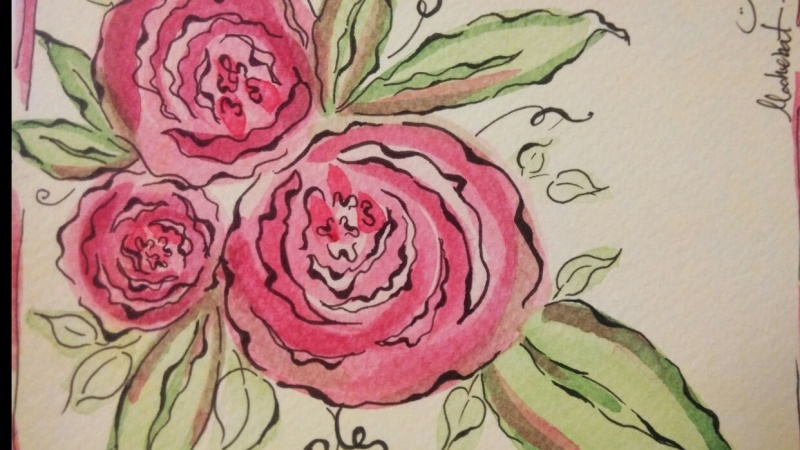 A Beginner's Cabbage Roses Watercolor Class. Yes, that's right. Beginners. 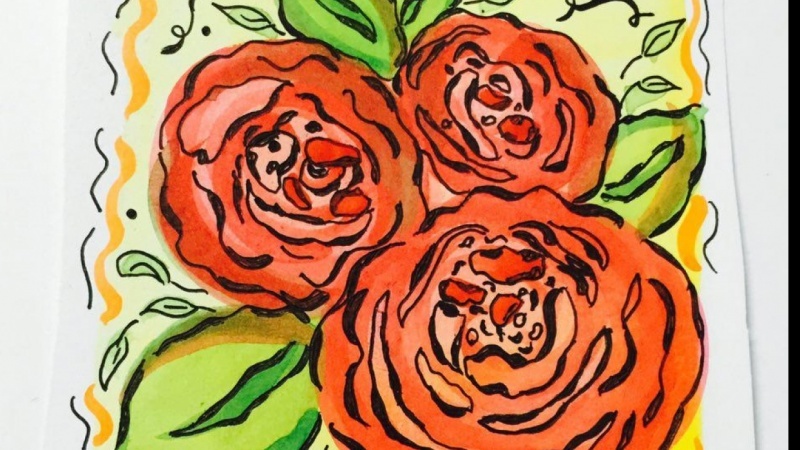 These cabbage roses are very forgiving for new watercolorists. 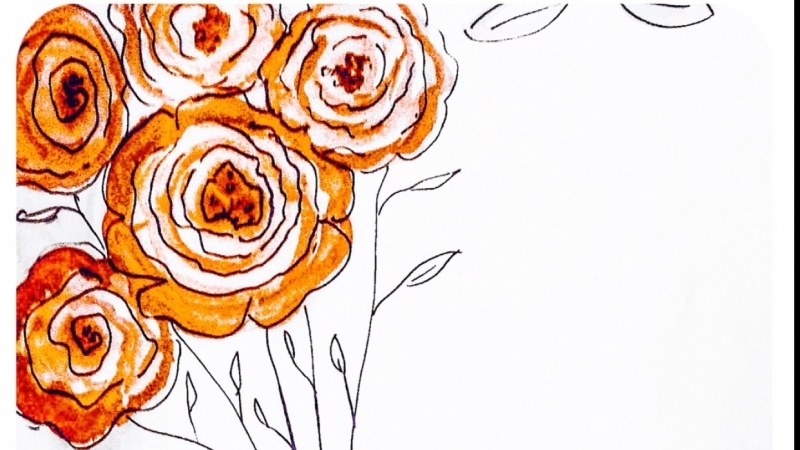 I'll walk you through a 15 step process that includes watercolor & marker. You'll gain the skills (value, scale, limited palette & reflected light) and confidence (practice & fixing mess-ups) to create cabbage roses. A little bonus - you can use your practice versions of the class demo as gift tags & pair them with your class project. 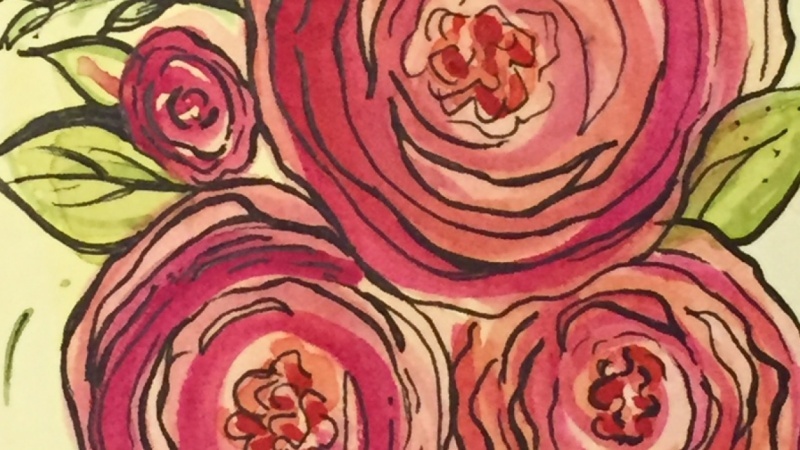 The Class Demo & Practice a 4" x 4" watercolor of cabbage roses. The Demo Practice is purposely small so that 1) it doesn't require a lot of time to paint 2) there's confidence to try something new without a huge investment 3) the fear of "ruining" it is lessened because it's not so giant, which lends itself to 4) give courage to actually try new paint strokes and 5) because it makes into dang cute tags with its small size. 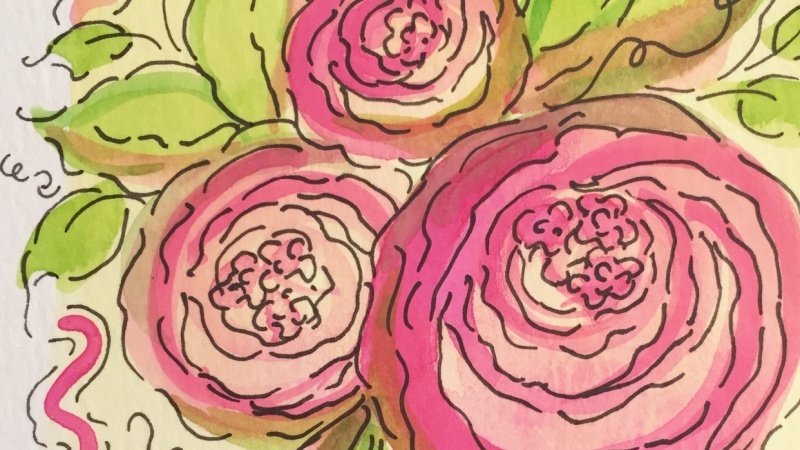 The Cabbage Rose Class Handouts are 26 color pages that includes 1) materials list and links 2) the 15 Steps with Diagrams and Directions 3) a Cabbage Roses 15 Step Cheat Sheet and 4) a Key Concepts reminder sheet. I've tried to make this as helpful as possible so that you come away from this class saying, "Look What I Made!!" 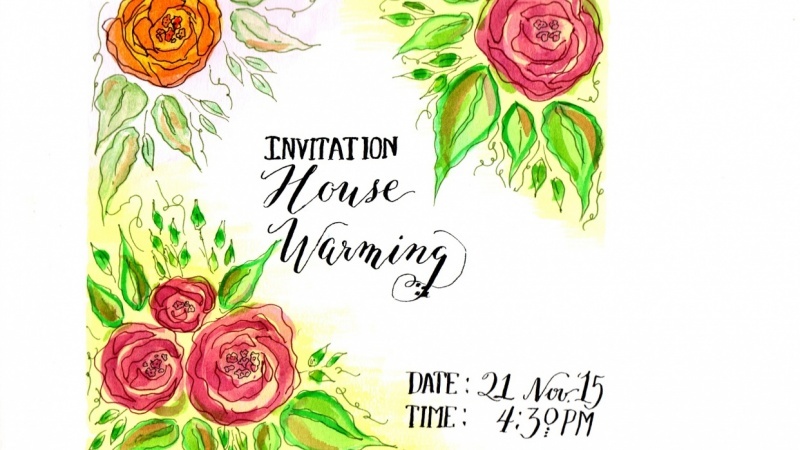 The Class Project is to create a Special Event Invitation. Any size, any color, any event. (Preferably a real event.) This will help solidfy those skills learned in the Demo Practice. And your friends will love their special invitations from you.